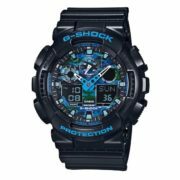 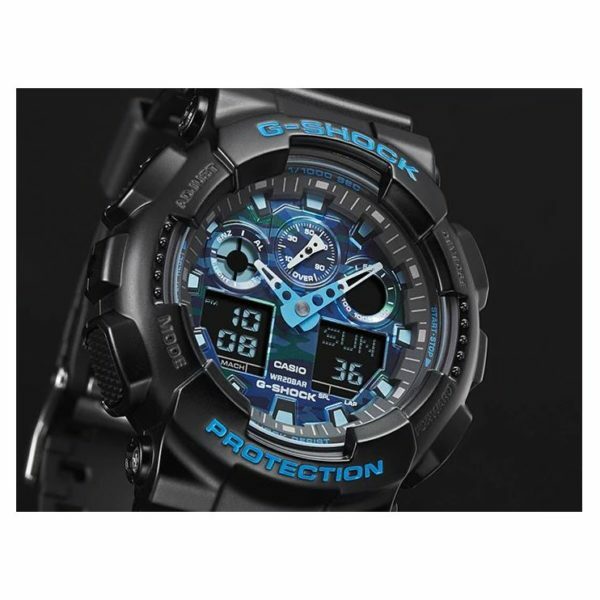 From G-SHOCK, which strive for toughness, new model that combines basic G-SHOCK black with a popular blue hue. 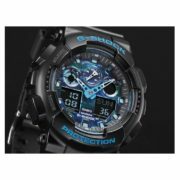 Overall matte black is combined with blue in the bezel, face, hour and second hands, for an intrepid design. 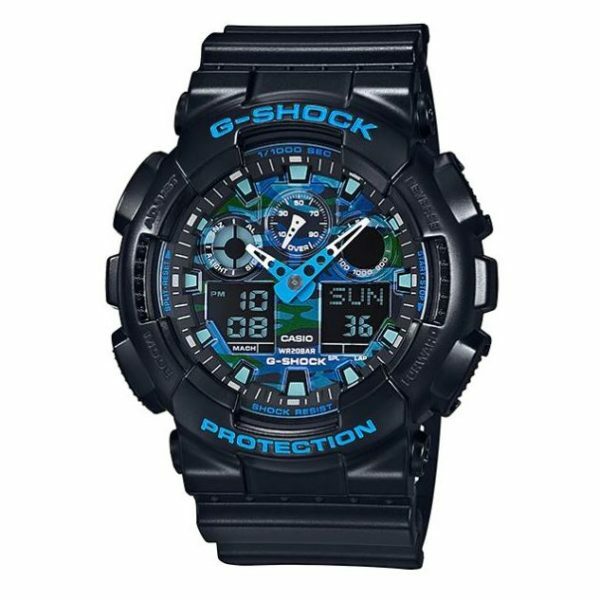 This model has a blue tone camouflage face.